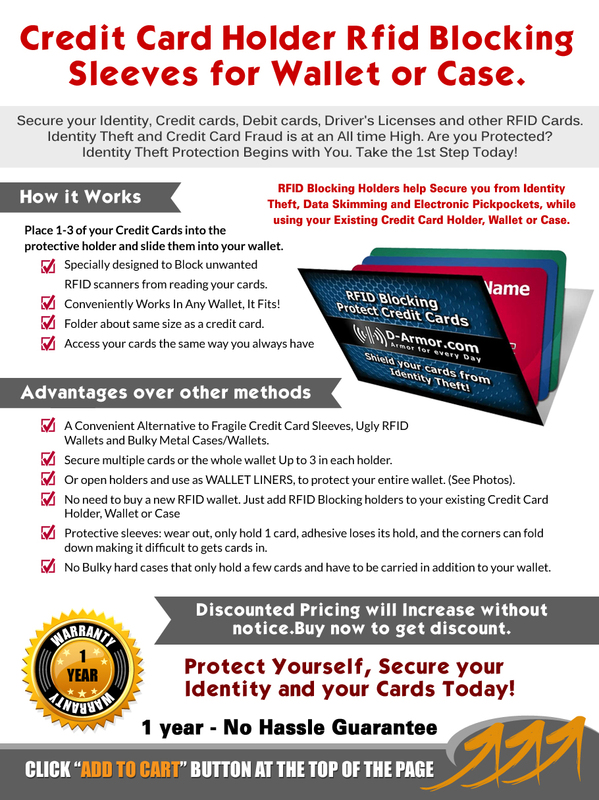 Help Protect your Family, Friends, Loved Ones, Co-workers, Employees from Credit Card Theft and ID Theft with – RFID Blocking Folders. 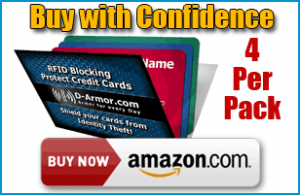 The Problem – High Tech thieves can steal your Credit Card Information without you knowing it! How they work – See our RFID Blocking Folders in action. Click here to see short customer demo. Our product was Featured on USA Today – Save of the day. See video here. 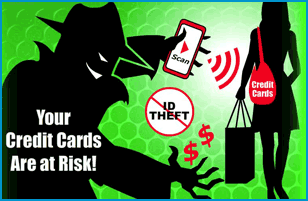 Problem – High tech thieves can scan smart cards at a distance, without touching the cards. See Video. Does Everyone you know have Credit Cards or Bank cards? Yes most likely, we live in a high tech world. Credit Card Theft and ID Theft is a horrible problem to deal with: Loss of Time, money, stress, damaged credit, worry, etc. You should do everything in your power to avoid this problem and the pain it causes. Better safe, than sorry. 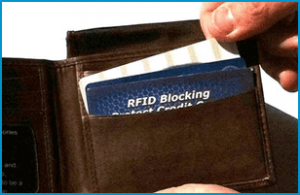 Solution – Protect your Credits Cards from unwanted scanners with our RFID Blocking Folders. Place your cards inside the protected folder and place them in your wallet. Simple. GREAT GIFT ITEMS – They are; Inexpensive, light weight, low profile, fits into existing wallet, super easy to use, smart, simple, practical, under $20. This gift will be carried around, in their wallet, with some of their most guarded items like credit cards, bank cards and other valuables. This piece of technology will help protect your loved ones from Unwanted RFID scans from Electric Pickpockets and Identity Thieves. Help protect the people close to you from Identity Theft and Credit Card Fraud . 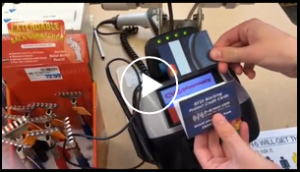 This Video explains the how Thieves use RFID Scanners.